odd Rundgren dropped by the Portland Creative Conference last month to speak to creative types about The Muse Of Solitude, as his presentation is titled. Yes, Todd is a man of loneliness and deprivation. That is, when he can peel time away from the wife and kids, he likes to get alone, really isolated, in order to create. As one of the early adopters of rock-music auteurism, Rundgren flies in the face of conventional thought about musical creativity, which emphasizes collaboration. Social and sensory isolation: Todd Rundgren's favorite mode. While exploding the collaboration myth, wherein Lennon and McCartney happily sit down together to write song after song, Rundgren points out that most writers create in social and sensory isolation, only later to join with others. It's Todd's preferred working mode, which enables his ideas to bubble up from the subconscious, unfettered by expectations or responses. He's carried it to the extreme  producing, recording and playing everything on every song for his early-'70s solo albums. As a public speaker, however, Rundgren could use some pointers. He's affable and entertaining enough but, perhaps due to his penchant for isolation, not terribly forthcoming. Most of his points are illustrated not by personal anecdotes, but by generic examples. 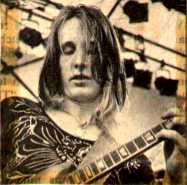 If you have a history like Rundgren, who managed to squeeze a pair of hits, in the form of "Hello, It's Me" and "I Saw The Light," out of his first solo recording, the Something/Anything double album, and inadvertently created the jock-anthem "Bang The Drum All Day," while maintaining a successful career as a producer (XTC, Grand Funk Railroad, et al. ), why not pull a few stories out of your hat instead of relying on clichés? How many times do we need to joke about learning the "Smoke On The Water" guitar riff? Though not in the form of musical anecdote, the real Todd Rundgren appears when he admits that he likes to drink beer in front of the TV (which he enjoys watching quite a bit) in order to get sleepy at night. Despite a dearth of entertaining stories, Rundgren drops plenty of wisdom. And he cautions that simple, anyone-can-make-a-song electronic tools, while liberating, threaten to drown us in lots of aimless, mediocre music. Even though Rundgren's on the mom-and-dad circuit nowadays, his isolationist techniques are still commending themselves with thoughtful, sincere output. Portland musicians, meanwhile, often tackle their own isolation. Odd Todd: maybe writers shouldn't draw. But first, absolutely the best idea in the restaurant industry is to clothe tables in white butchers' paper and include a small jar of crayons with the salt-and-pepper shakers. Those waiting for appetizers, beer, staff or date can free the id in colorful, waxy strokes. That's why I now have my own wonderful picture of Todd Rundgren as turquoise Hoppity Hop toy. And we are indeed waiting ... for the jazz combo to start, for people to arrive, for anything. This particular Tuesday night in January looks bad for the Brasserie Monmartre; staff seems to outnumber the patrons and one can hardly blame the Glen Holstrom Duo, then, from seeming a tad not there. The bass-man is fast, solid and ineluctable at picking proper intervals. But he's wearing bright white tennis shoes with black socks and dark slacks. D'oh! Holstrom is a storied Portland jazz/funk/blues keyboardist of considerable talent. He's sweet tonight, but so quiet and reserved that he simply fades. My beer of choice runs out on the second order, and a guy reading his newspaper gives me the stink-eye when I applaud. It is very nearly the last sound heard. But the baked cambozola is delicious. And the duo, if suavely surrounded by folks who gave a damn, would be mighty tasty, too. It's nice practice for them, I guess. Making music can be lonely sometimes. Working from a much more enviable, but still somewhat isolated, position is Sirens Echo, a soul-shocked hip-hop duo of women in a world where such things are still pretty rare. I happen to run into them in my friendly PSU cafeteria, where anyone who strolls in can see great free up-and-comers, Wednesdays and Fridays at noon. 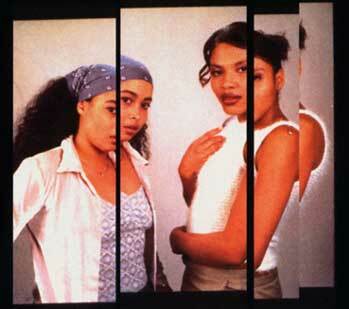 Sirens Echo: a soul-shocked female hip-hop duo in a world where such things are still pretty rare. Sirens Echo is Syndel representing Oldomonion and Toni Hill of Hungry Mob, two highly respected and influential local crews. Good groups to be connected with, too, but Sirens Echo should be taking up most of their time pretty soon. For now, they're working a different type of isolation  facing a room of young adults studying, eating and talking. But like the mythical sirens, they soon lure eager ears with tracks that bounce and slam. Syndel seems to do most of the lyricising, weaving urban tales from despair into empowerment with rhythmic linguistics equal to any out there. Toni Hill's raps trade on staccato riffs at times, pushing things along. But where she really shines is singing. Her smooth, spirited jazz phrases intensify interest in the groove, bringing tight melodies and amazing with dexterity and perfect pitch. Yes, the groove is palpable, but maybe the lunchroom isn't the best time and place. Luckily, Sirens Echo will be getting out often with a series of upcoming shows and a new EP to keep fans happy. And even through the lunchroom atmosphere, people line up to buy the disc, which puts the vocals up front, sounds awesome and is only a little less head-bobbing and funkified than the live experience. Sirens Echo solves the isolation dilemma; you can enjoy this music with your friends, or all alone.